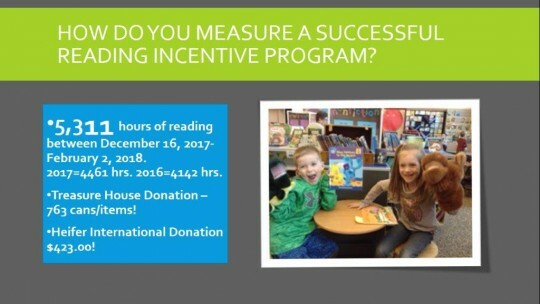 Read to Feed a Success! This year our students participated in serving our local community food bank as well as Heifer International. READERS ARE LEADERS! !